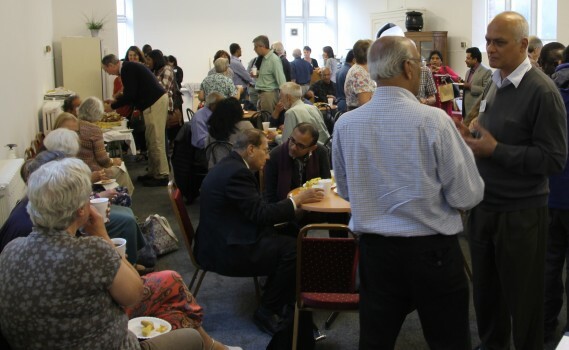 Last weekend over 100 supporters joined staff and Trustees at King’s Cross Baptist Church for the South Asian Concern Celebration marking 25 years since the charity’s formation. The afternoon was opened by SAC Director Kevin Wren who introduced Rachel Chandrasekaran who led the congregation in worship. 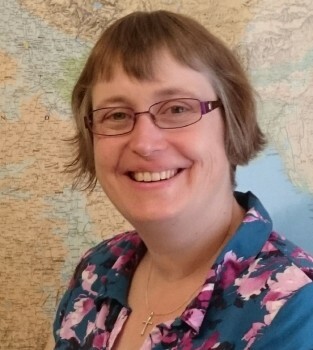 Rachel is part of the Tamil Fellowship which meets at Rayners Lane Baptist Church. 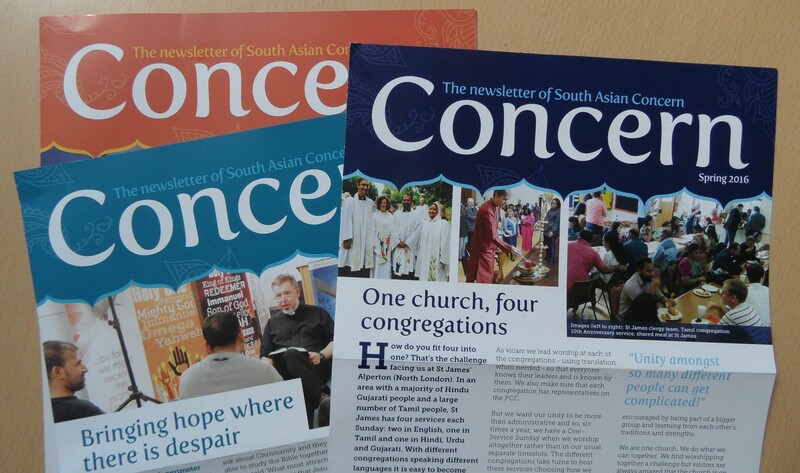 After this uplifting time Ram Gidoomal (SAC Chairman) shared stories of the early days of the charity and introduced Diaspora Mission: the story of South Asian Concern – a copy of which everyone received in their goody bag. 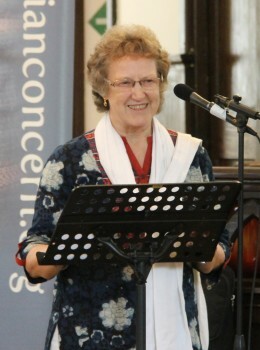 Following a video update from SAC partners Paul and Su East, Catherine Abraham spoke of the work she and her husband Raju carry out in Uttar Pradesh, Northern India. Their team at Kachhwa Transformational Ministries is spearheading a holistic initiative to meet the physical, social and spiritual needs of deprived communities. It is involved in healthcare, education, vocational training, micro-enterprise, prayer groups, adult literacy and church leadership training and development. 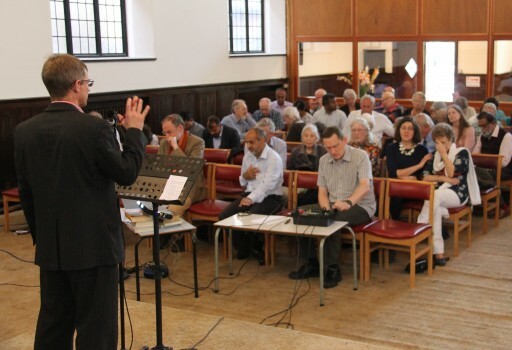 After time spent praying for the work in India, the congregation were introduced to Chris Wright and Pieter Kwant from the Langham Partnership. The Langham partnership have been working with South Asian scholars to produce a one-volume Bible commentary due to be published in October. 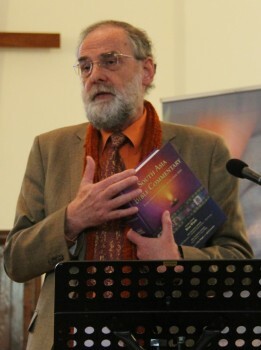 The aim of the South Asia Bible Commentary is to provide a tool which will allow the word of God to speak directly and relevantly to South Asians addressing the issues that they face as followers of Jesus rather than having to rely on publications written from a Western perspective. Towards the end of the afternoon Kevin shared some of his passion and vision for taking the work of South Asian Concern forward by both encouraging churches to reach out to their South Asian neighbours and helping to disciple those who have come to faith in Jesus. When the service had ended visitors were invited to enjoy refreshments with both Asian and British food on offer, have a look at SAC’s new offices, browse the bookstall, purchase Indian crafts and collect their goody bags. It wasn’t only the wonderful sunny weather that made the South Asian Concern Celebration a glorious day!